I've been using AirDroid for almost a month now. The problem that I am currently having is a problem that occurred once before, a couple of weeks ago - but it appeared to fix itself after a few hours. I am unsure how or why it happened in the first place or how or why it fixed itself, but I am now having it again, for the past couple of hours. When I try to copy files to my external SD card, using AirDroid Web, an error message pops up saying "Failed to Upload. No permission to write to external SD card." Signed back into AirDroid on all devices. ...but I am still having the same problem. 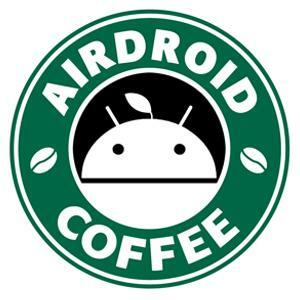 Have you told AirDroid the right path of extSD? You can check if this guide helps: [Help & FAQ] How to Manage Files Saved to External SD Card on Android 5.0+? Yes, I went through the steps to tell the app the correct path for the External SD card. I downloaded and installed that test version, but the problem is still the same. As you can see in this screengrab, it is set up correctly. It just stops working randomly during uploads. Sometimes it fails from the very start. Sometimes you can upload files to extSD successfully? Sometimes it failed? For transfer files for my SD, I have to connect the USB. For Airdroid is impossible. Have you done the settings successfully with this guide: [Help & FAQ] How to Manage Files Saved to External SD Card on Android 5.0+? And pls update to the latest version to see if it helps.